Is the Tax Court Biased in Favor of the IRS? Many commentators argue that Tax Court judges are biased in favor of the IRS. Judges hear cases alone, without a jury. Many Tax Court judges have worked in the IRS Chief Counsel’s office or in the Tax Division of the U.S. Department of Justice. The Tax Court does not assign judges randomly to cases. The procedures are extremely burdensome. The burden of proof is “preponderance of the evidence,” which is a loose standard of evidence, and highly subjective. It means the the IRS could win if 51% of its evidence is more convincing to the judge than the taxpayer’s. The Tax Court makes budget requests to Congress’s tax-writing committees. In justifying its budget requests, the Tax Court invariably explains to congressional committees how well it is enforcing the tax laws. A Tax Court judge, Diane L. Kroupa, was indicted on tax evasion, conspiracy to defraud the United States, and obstruction charges, raising questions about whether any of her rulings could be vulnerable to challenge as a result. (Judge Kroupa abruptly resigned prior to the indictment without explanation. Her husband, now divorced, was also indicted.) As a Tax Court judge, Kroupa heard and decided a wide range of cases, including some that came down against taxpayers in the horse and cattle industries. In October, 2016, she pleaded guilty to conspiring to defraud the IRS and other crimes. When sentenced at a later date, she is likely to serve a significant prison term. Another judge, L. Paige Marvel, has also been harsh with respect to the horse industry. In a recent case, Carmody v. Commissioner, T.C. Memo 2016-225, Judge Marvel came down hard on a taxpayer’s efforts to run his horse racing venture profitably. The taxpayer, Jerald Carmody, has owned race horses for more than 20 years, mainly as co-owner with others, and worked full-time as a sales representative for a helicopter company. He owned lower priced horses which were actively raced in Washington State. Professional trainers were employed. He spent time every day on his horse racing activity, researched horses that would be in competition, and searched for other horses to purchase. 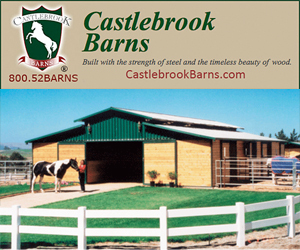 He purchased and improved a five-acre property with a 4,000 square-foot barn, horse stalls, a 5,000-square-foot arena, indoor horse shelters, and nine pastures. He personally cleaned stalls and pastures. Some of the horses won several races each, and one was the alltime race winner at Emerald Downs with 21 wins. Mr. Carmody was named owner of the year at Emerald Downs. The races entered ranged in purses from $8,000 to $50,000. During a 10-year period, the taxpayer’s losses were from $16,064 to $81,345, with no profit year. But there was income in each year, ranging from $17,917 to $128,068. When horses were retired from racing, they were sold or given away. 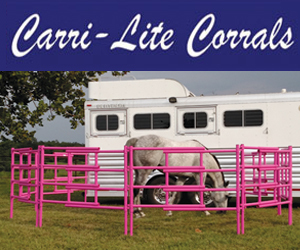 Of 36 horses sold, there was a net gain on only eight of those sales. Mr. Carmody had a horse racing bank account, but paid for expenses out of his personal account as well as the racing account. Mr. Carmody kept a folder for each horse with various receipts and documents related to that horse. The court concluded that the petitioner did not engage in his horse racing activity with the predominant, primary, or principal objective of making a profit. The only silver lining in this case is that the judge rejected the IRS’ accuracy-related penalties because the taxpayer had reasonably relied on his accountant’s advice in taking the deductions. One of the important lessons in this case is that taxpayers need to somehow review records so as to reduce expenses or enhance the possibility of generating income. It is important to keep track of expenses on a per-animal basis. And it is important to prepare financial statements, profit and loss projections, budgets, breakeven analyses, or marketing surveys, as the IRS considers these to be significant financial tools to aid in evaluating the overall performance of an operation. John Alan Cohan is an attorney representing people in federal and state tax disputes, IRS appeals, and Tax Court litigation, and is a long-standing author of a legal advice column published in numerous sporting magazines. In addition, he advises organizations on compliance with newly enacted laws and regulations. John is also author of the book, Turn Your Hobby Into A Business — The Right Way. He can be reached at: (310) 278-0203, or email at johnalancohan@aol.com. JohnAlanCohan.com.